So it’s been a little while since I’ve written a post (already returning to my old nasty habits) and I have about 47659428463928 things to talk about. I will resist the urge to start rambling on and on about everything and instead stick to the topic of Bracciano. 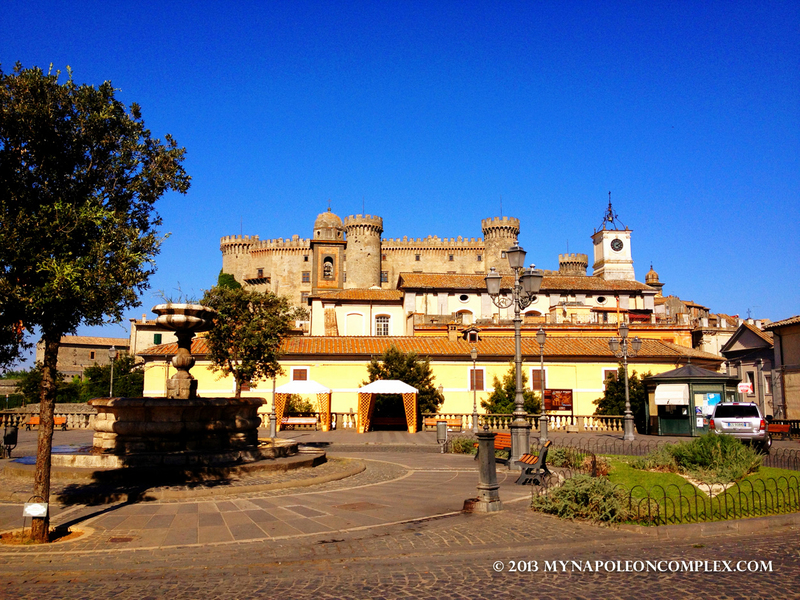 Castello Orsini-Odescalchi looming over the Bracciano streets. 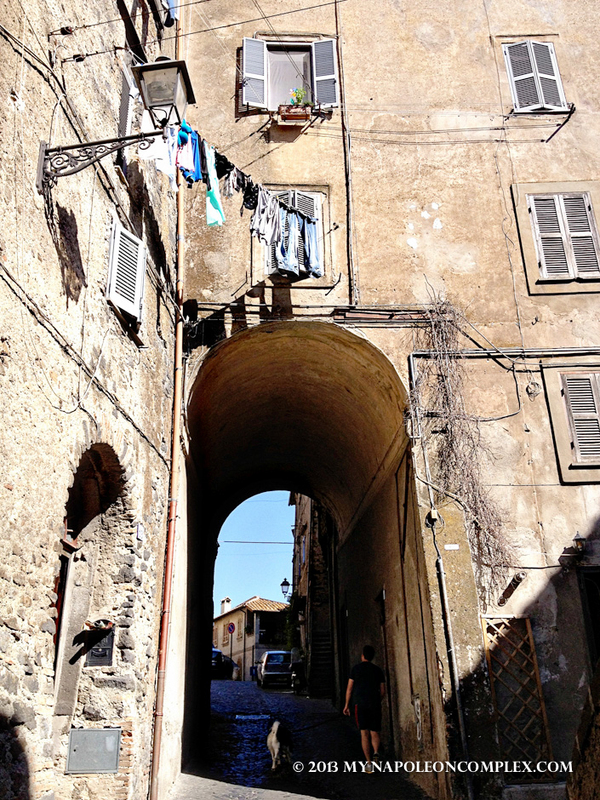 We bumped into Bracciano a few weeks ago completely by accident when we went to Bau Beach. 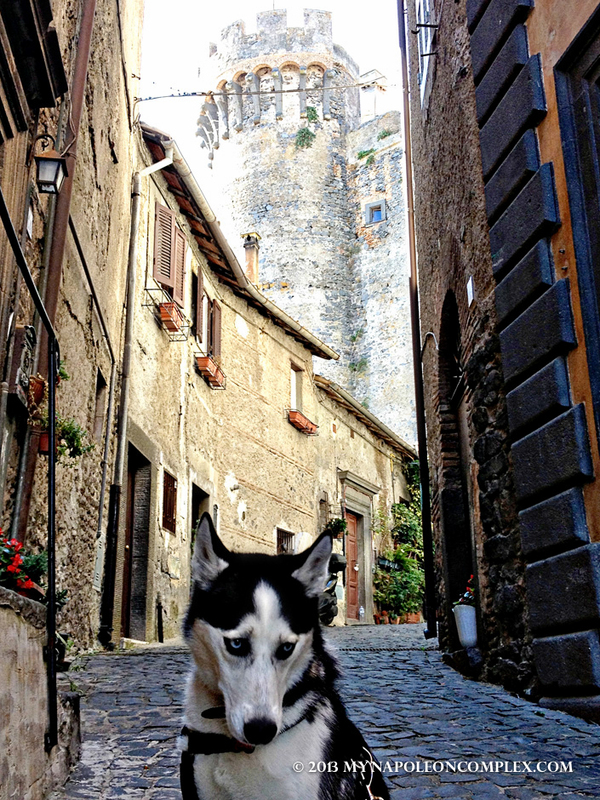 I was ecstatic to wander my first cute little Italian town. 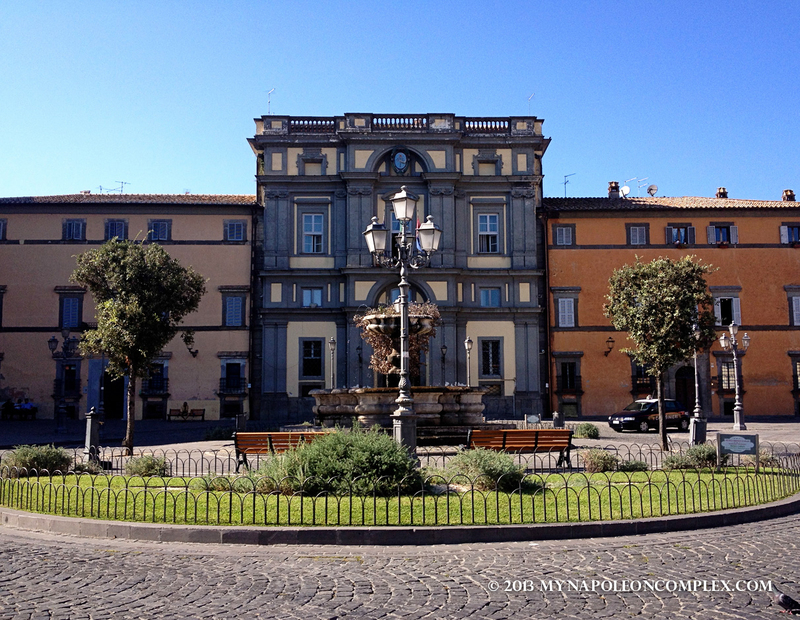 Bracciano certainly did not disappoint and I am so mad that we didn’t have our camera with us so we had to resort to taking iPhone pictures (just another reason to go back and take some proper pictures). 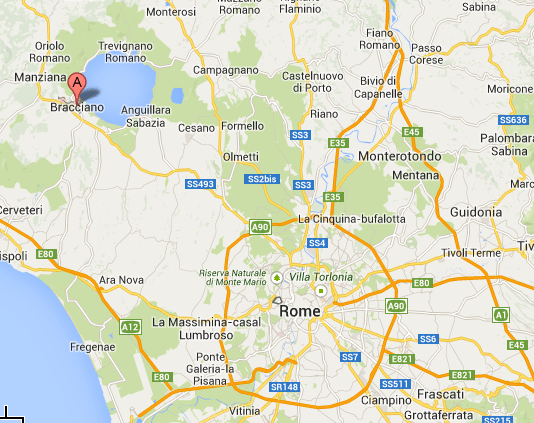 Location of Bracciano related to Rome on the map. 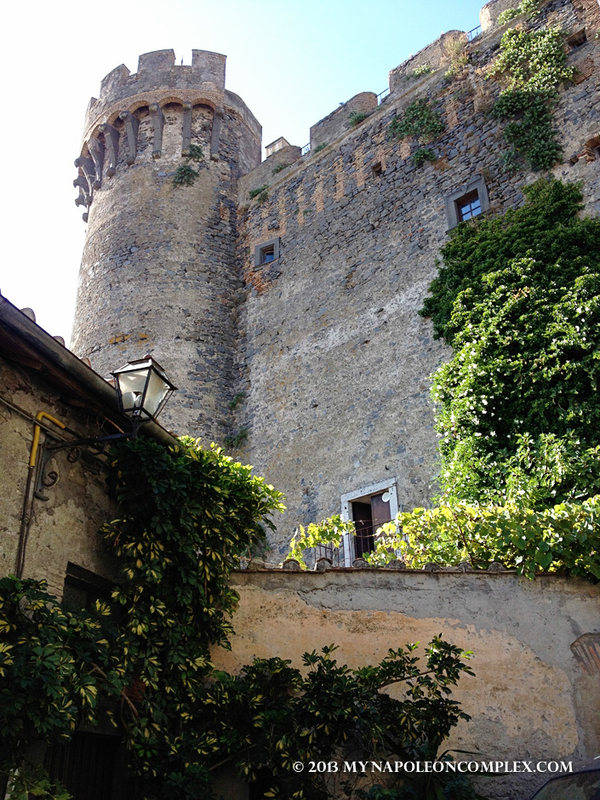 Bracciano is about 30 km away from Rome, famous for its volcanic lake (which we did not see) and its castle, Castello Orsini-Odescalchi, one of the best examples of Renaissance medieval castles in all of Italy. We knew none of this at the time, however, and to me the castle was just the kind of place straight out of Sleeping Beauty. The town itself was also charming and quaint. We arrived at the siesta hour because the streets were deserted and every single restaurant in town was closed (and we were starving!). After about an hour or so walking around, the town started waking up again and its residents poured into the streets to take walks, chat, and of course drink some coffee. How cute is this front door?! In other news, I’m happy to say we have finally found an apartment in Rome and if all goes well we should be starting to move in next week! 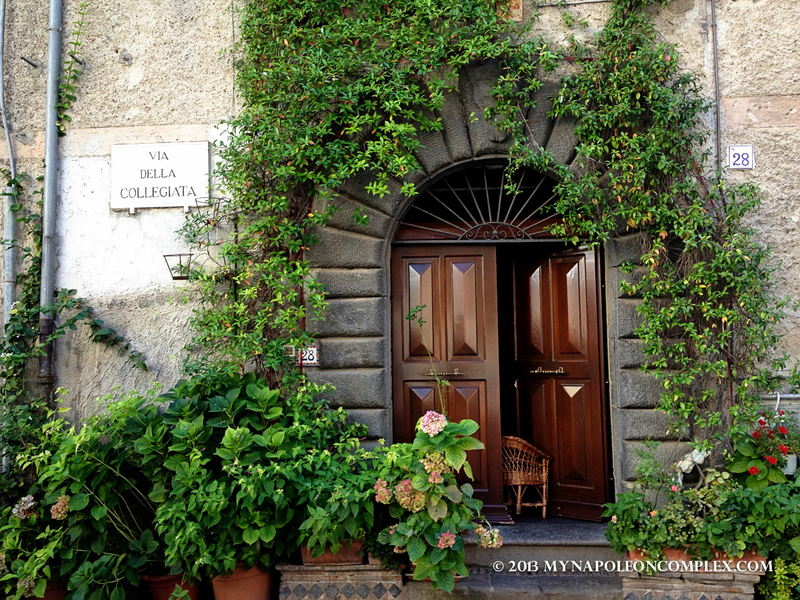 So stay tuned for future posts on finding an apartment in Rome and decorating! !